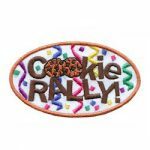 Increase your cookie sales with our printed door hangers. Just fill in the information and leave one behind when your neighbors are not home. 11 reviews for "Want Cookies? Door Hanger--65 Per Pack"
There is still a discrepancy in the title and the explanation of the product. The title says 100 per pack, but the description says 65 per pack. I do wish they said ‘parent name’ instead of ‘leader’ I’m going to hand them out to my troop and all the girls will put their parents name & number on the ones they use. I’m not going to take orders and deliver cookies for a door to door sale of another girl. I was a bit disappointed that the first time I looked at this product there were 100 included and when I went back a couple of days later it was only 65. In the email I received asking for a review it also showed 100 next to the product. I don’t care for companies raising prices or dropping quantities because they know this is the time that more will sell. these are working out really well for us. 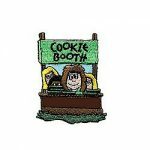 Looking for a new way to expand your GS cookie sales? These door hangers are really helpful. Parents and scouts were excited to try them and are reporting an increase in their neighborhood contacts and sales. Our girls personalized them to give them that personal touch. I love the door hangers. 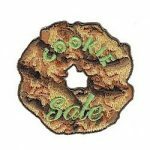 It really has help my girls sell more cookies : ) Wish I would of bought more,i will order more next year!!! The door hangers are super cute! We are really hoping to increase my daughters door to door sales with these cute cookie time reminders. My only wish is that they said Adult… instead of Leader.